She is no stranger to controversy. 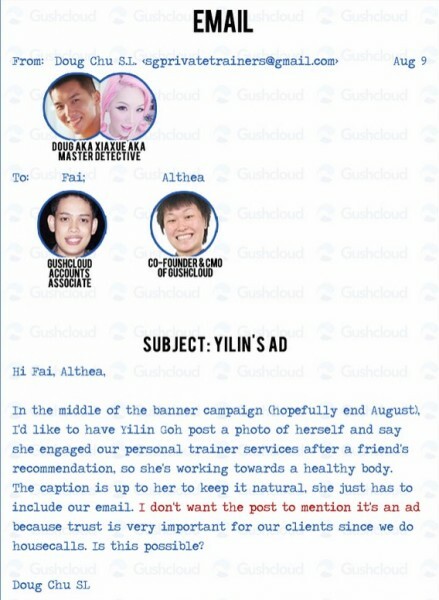 And, true to form, celebrity blogger Xiaxue yesterday created a buzz online with sensational claims against local digital and social media marketing company Gushcloud. 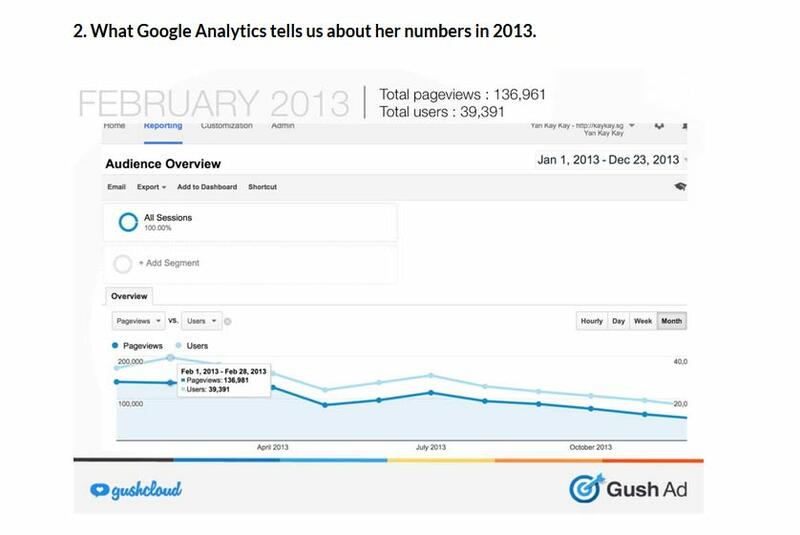 Her claims sparked a strong response from Gushcloud and its supporters. 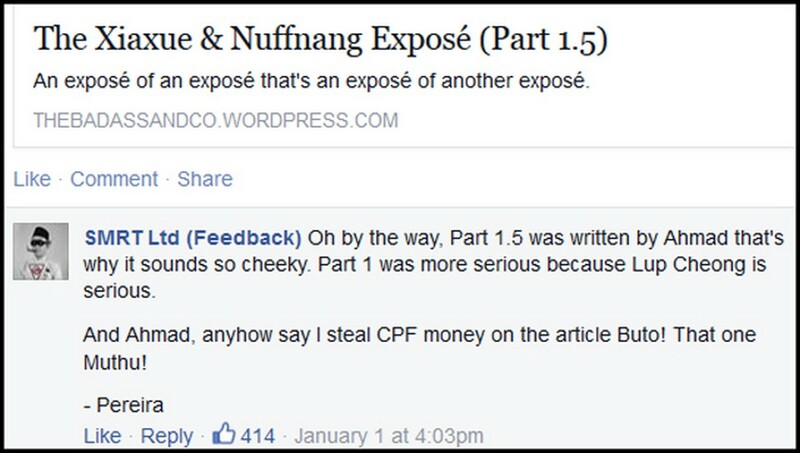 The lengthy blog entry, The Big Gushcloud Expose, has received more than 1,900 likes on Facebook and reached more than 300,000 people so far. It has also received more than 20,000 likes on her Instagram account. 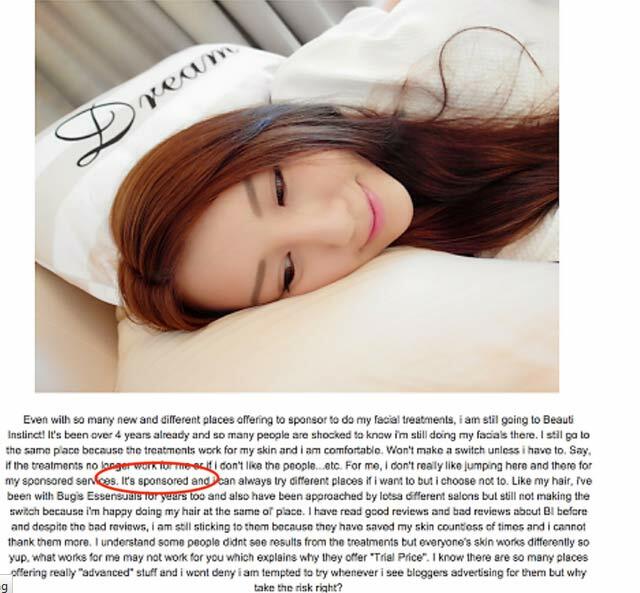 In her entry, Xiaxue, whose real name is Wendy Cheng, 30, alleges that Gushcloud inflates its earnings, gets its bloggers/influencers to mask paid advertorials as reviews, pumps up its influencers' blog page views, and buys fake YouTube likes and subscribers. 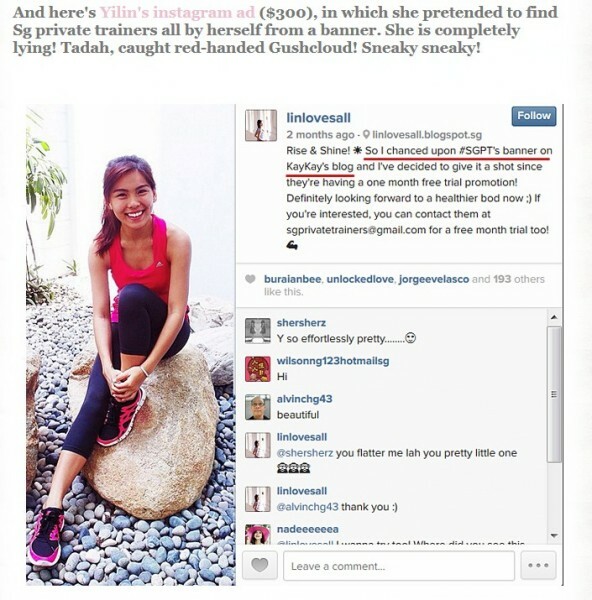 She detailed how she created a fake company to buy ads from Gushcloud and find out more about how the company operates. She did so, she claimed, to expose them with "evidence". Gushcloud's website says it has more than 10,000 influencers. An influencer is someone who supposedly has the power to affect others' decisions to buy or consume something. 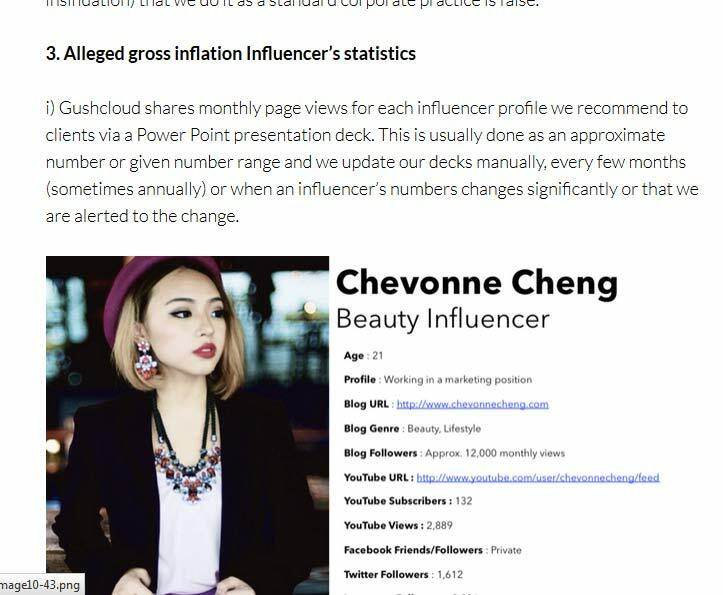 Gushcloud's more prominent influencers include model-blogger Yan Kay Kay, blogger Eric Lim and model-blogger Eunice Annabel. Xiaxue, who is signed with rival company Nuffnang, told The New Paper: "I wrote this not because I hold a grudge against them. "I felt very sorry for their influencers, and I felt upset that they are doing this to my industry which I am very passionate about. "I felt very scared before publishing the blog post but it's like a release after holding back for two years. "I really don't know how they are going to react but I am very curious to see how they are going to refute my points." 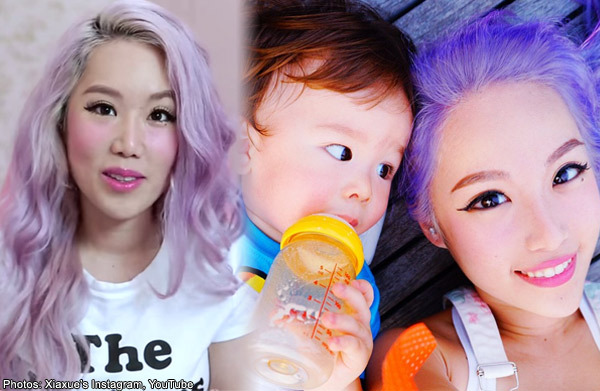 Gushcloud has refuted Xiaxue's claims and said that it was seeking legal advice. 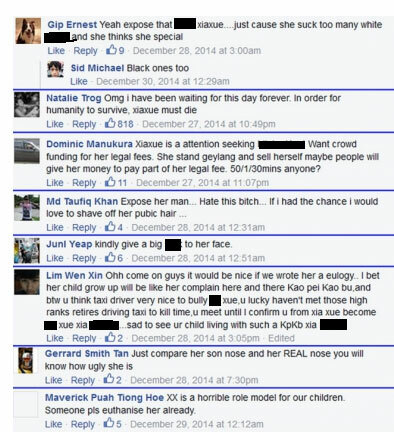 Xiaxue said: "It is not repenting at all if it wants to sue me and it doesn't stand to gain anything from suing me. "But if it ever decides to sue me, I will go crowdfunding." 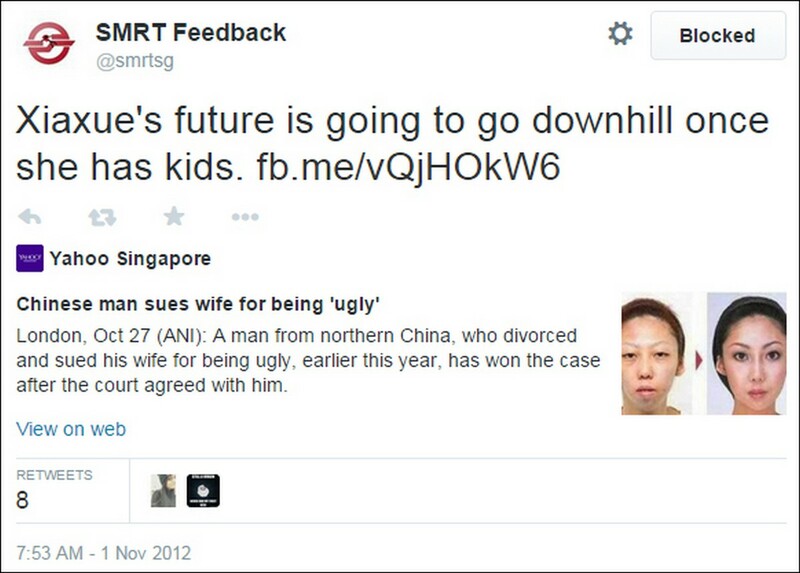 She blogged: "A few days after writing my previous entry and giving up on fighting with SMRT, I was alerted to the new Harassment Act." "Although I did know of the act, it never occurred to me that I can use it. The act only came into effect on 15 November 2014. It is very new," she said. She then sent them private Facebook messages informing them of it. 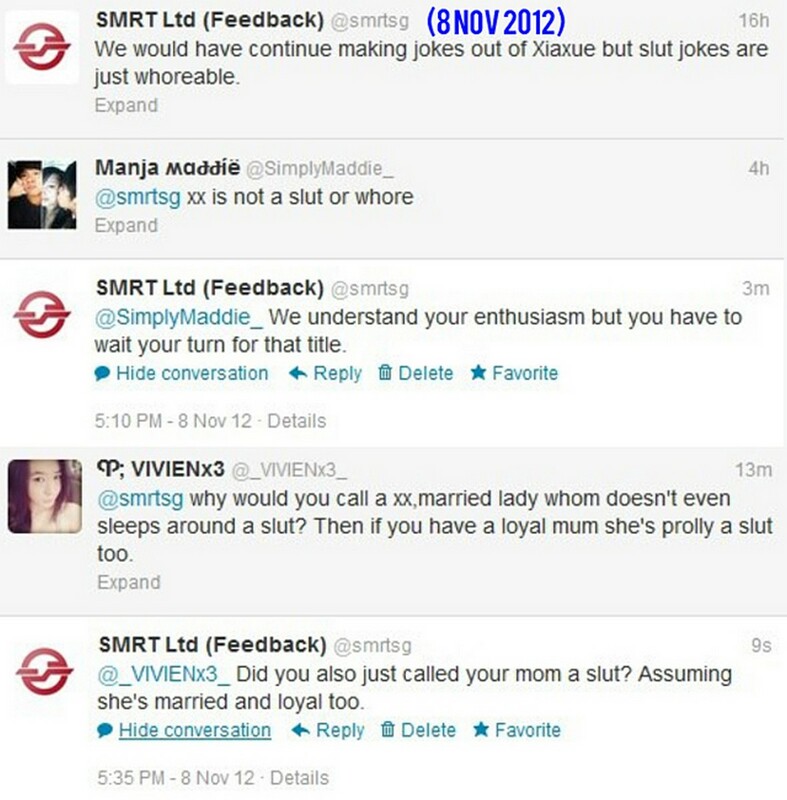 Feb 5 was the date of the hearing but SMRT Ltd (Feedback) did not turn up and maintained their anonymous identity. 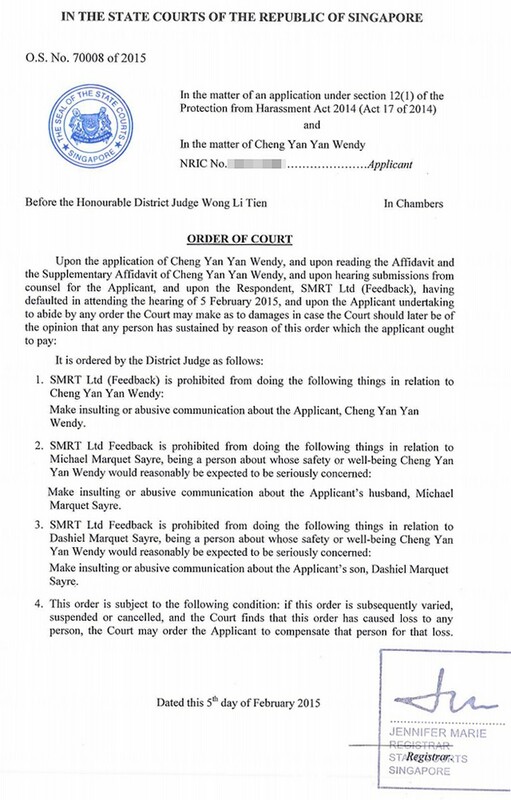 According to Xiaxue, this is the "first successful Protection Order taken up against an anonymous entity". 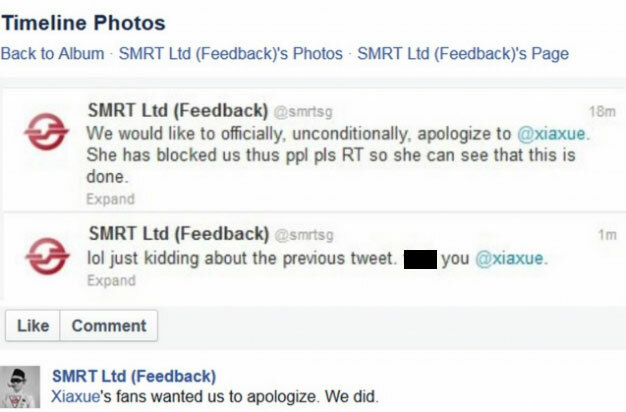 SMRT Ltd (Feedback) has also posted a Facebook status stating that they have been ordered to issue an apology by Feb 7 and to reveal their identities. 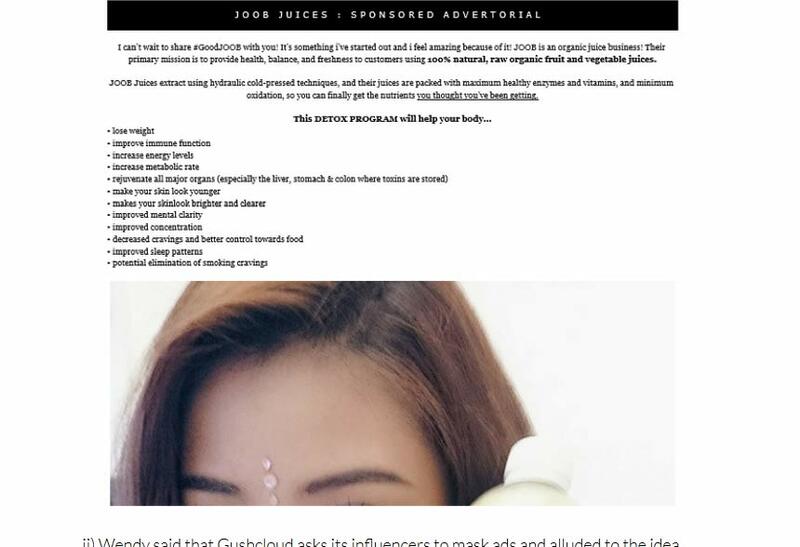 In a separate story, on Dec 23, 2014, Singapore blogger Wendy Cheng, or Xiaxue, published a lengthy expose alleging unethical practices by marketing company Gushcloud. 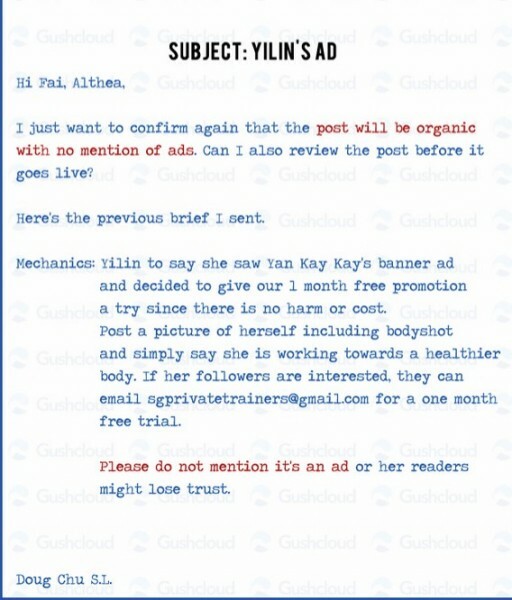 Xiaxue accused Gushcloud of being unethical by asking bloggers to disguise sponsored ads as regular posts. 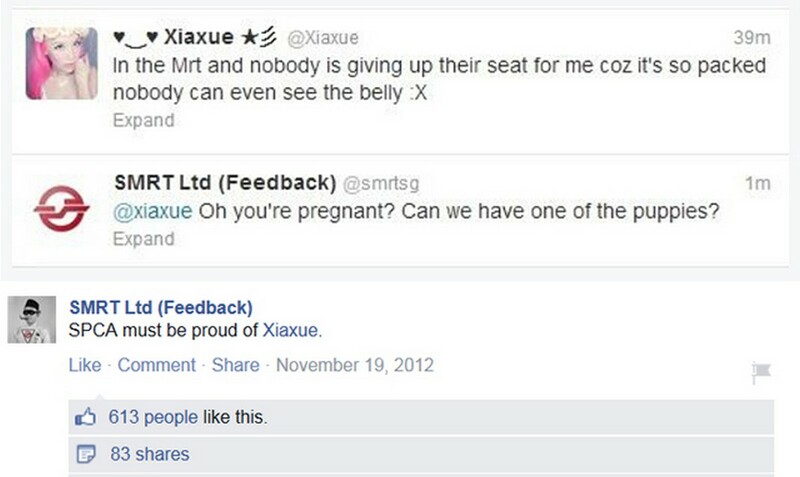 Xiaxue had previously already alleged that certain social media agencies had been using unethical practices. 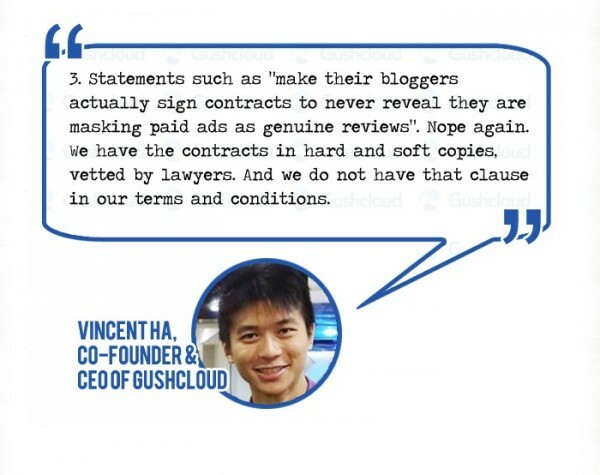 Gushcloud founder, Mr Vincent Ha, had also responded, denying that the company used unethical practices. 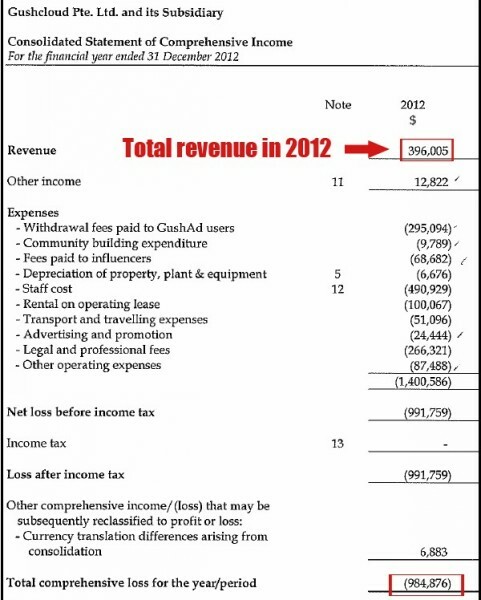 Gushcloud was accused of inflating its earnings. 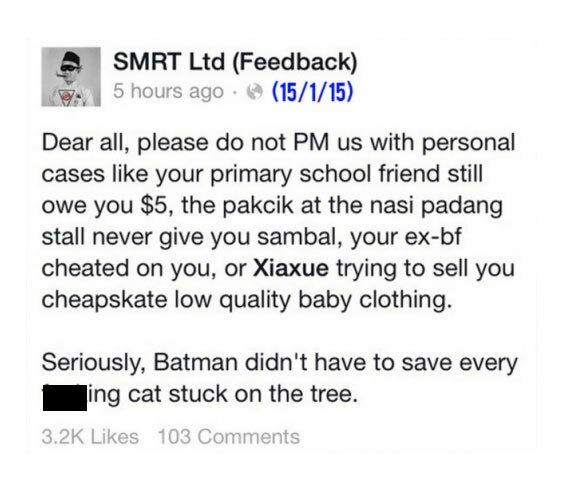 She also said the company had asked bloggers or social media influencers in its stable to mask advertisements. 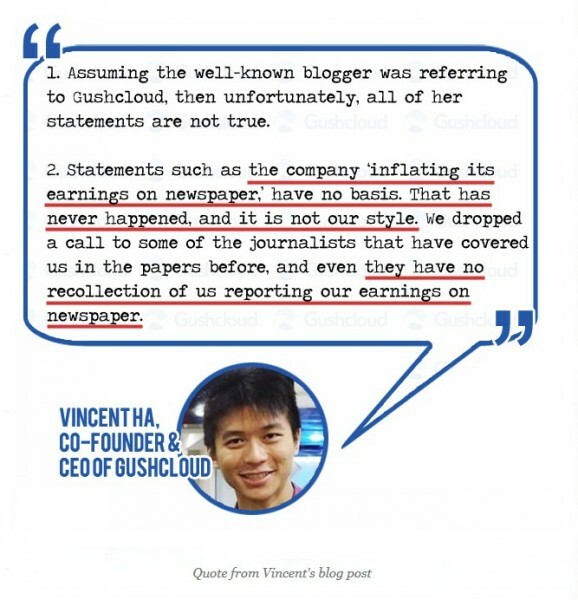 Cheng also alleged that Gushcloud had inflated its bloggers's pageview statistics and YouTube video views. 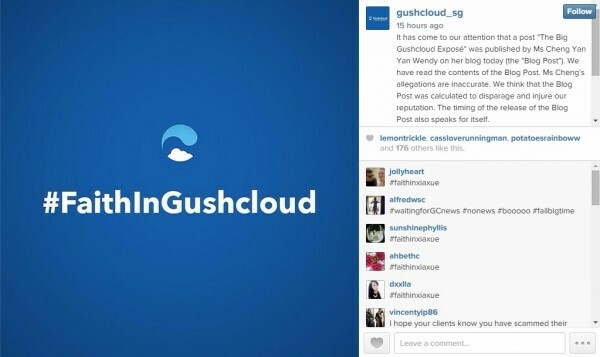 However, Gushcloud said on its Facebook page on Tuesday evening that the allegations are inaccurate. 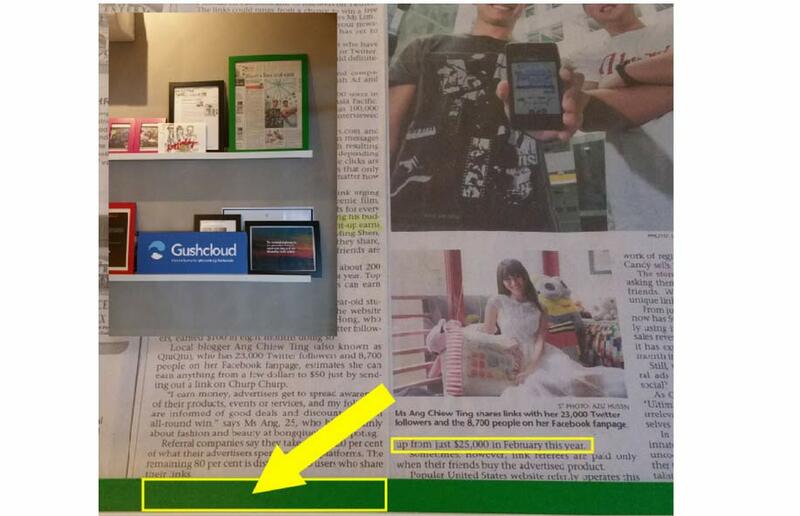 Gushcloud co-founder and CEO Mr Vincent Ha said: "These allegations are far from accurate." "We think that the blog post was calculated to disparage and injure our reputation," the post read. 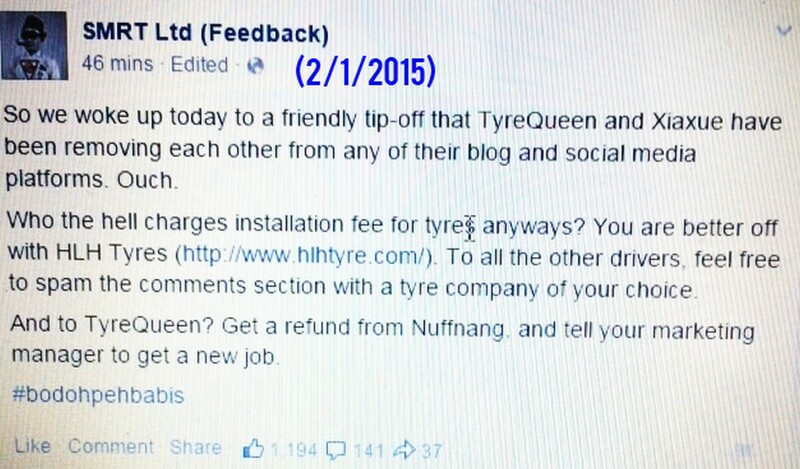 The company added that it is currently seeking legal advice in relation to the blog post. 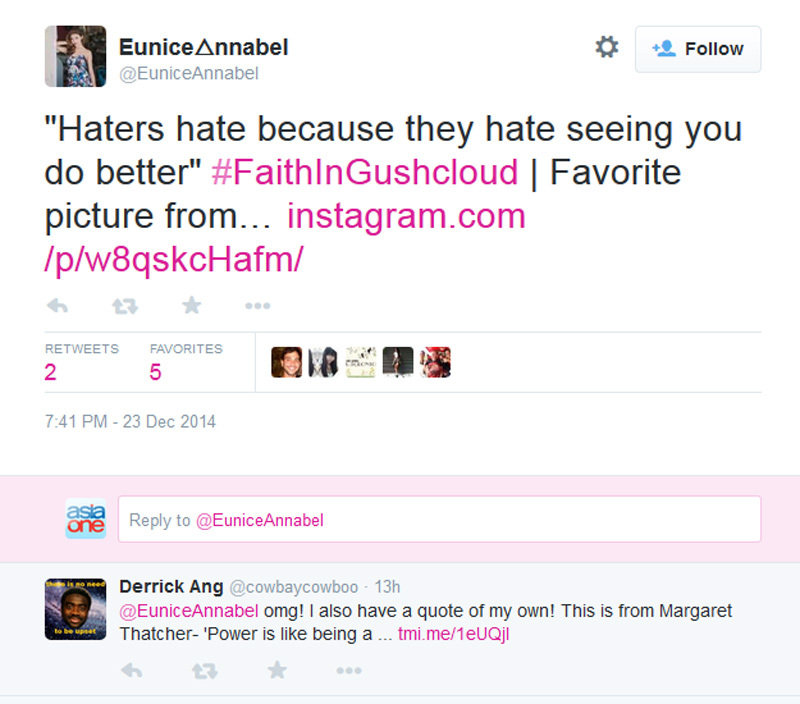 In her post, Cheng acknowledged that many would think she had ulterior motives, as she is managed by a rival company. "But I hope you believe I only wrote this because I believe lies and immoral practices should be exposed, not for my personal monetary benefit," she wrote. 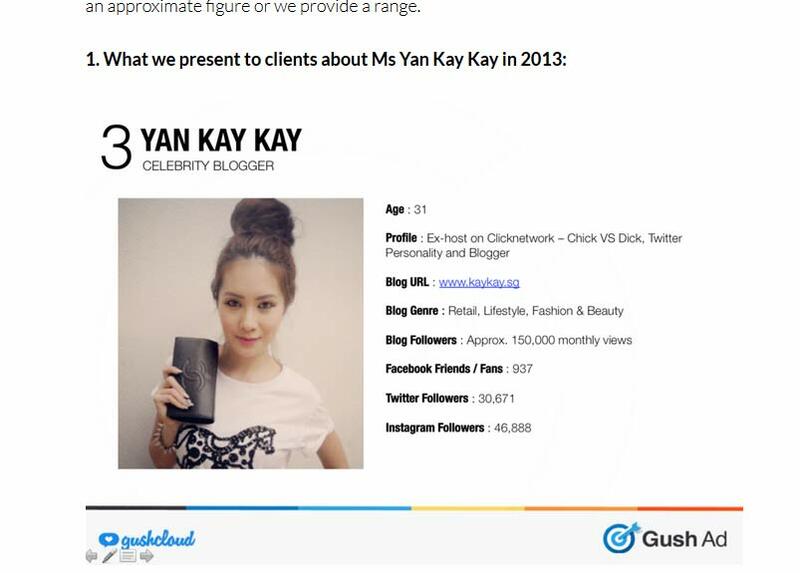 Gushcloud's most prominent influencers include model-bloggers Yan Kay Kay and Eunice Anabel, and blogger Eric Lim. Many Gushcloud bloggers subsequently took to social media to express their support for the company, using the hashtag #FaithInGushcloud. 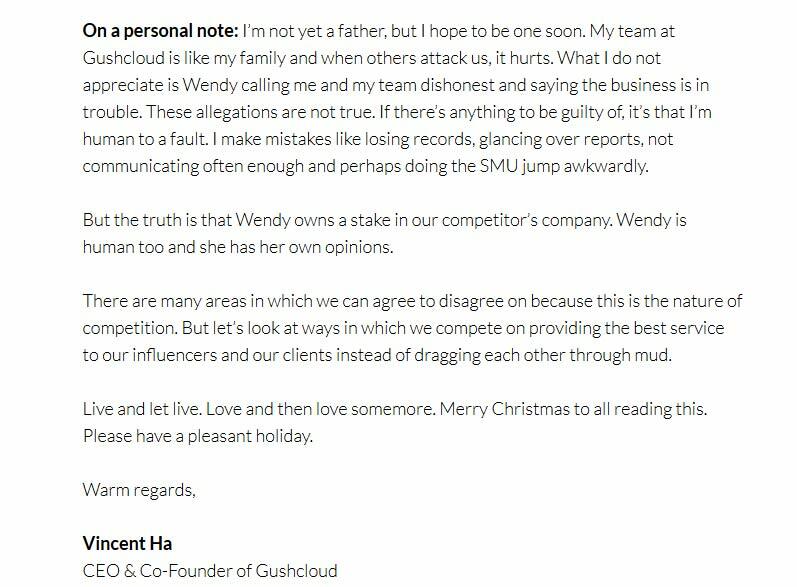 On the evening of Dec 24, Gushcloud's chief executive and co-founder Mr Vincent Ha put up his "official response" on his company's website's blog that rejects Xiaxue's claims of inflated earnings and forcing its influencers to mask ads. However, at the start of the blog, Mr Ha does admit to making an "honest mistake" of inflated earnings in a 2012 newspaper report. "Believe it or not, the November 2012 article hangs on our timeline wall but that part that states the monthly revenue is cut off at the bottom," said the blog post. 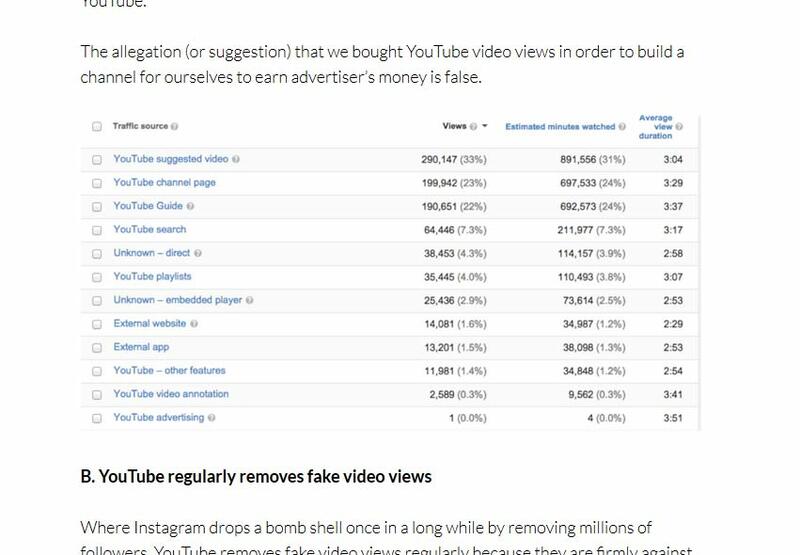 "Let me state the fact – Gushcloud does not force our influencers to mask ads or hide or pretend that they are not paid," said Mr Ha in the blog post. Mr Ha refutes "alleged gross inflation influencer’s statistics" and shares examples of influencers' profiles that are shared with clients. The conclusion on the blog post ends with "Live and let live. Love and then love somemore".